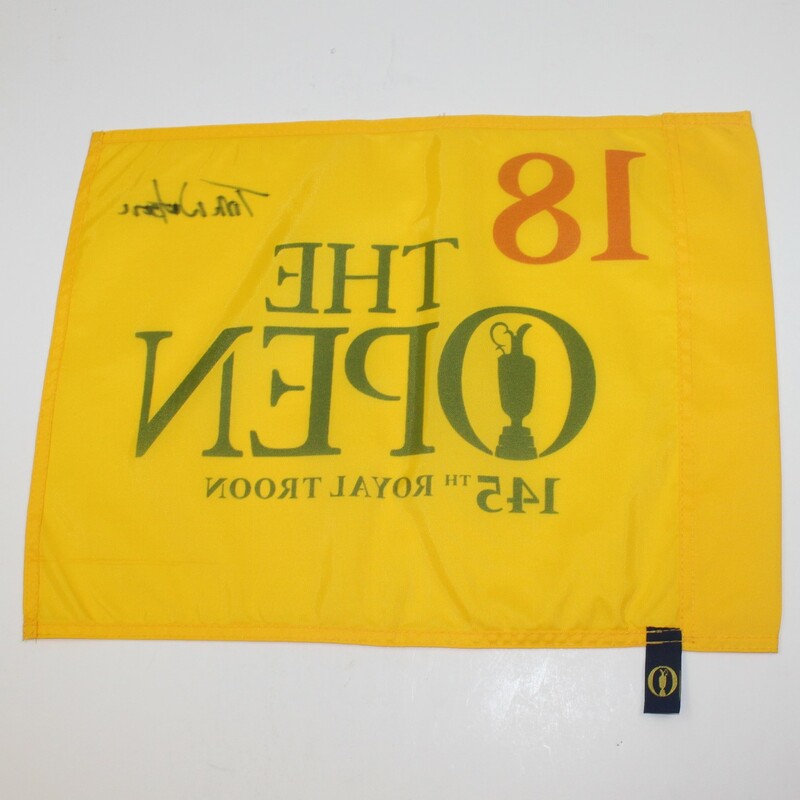 When you can get a five-time Open Championship winner to sign an official flag from the Major tournament, it's an item that demands attention. 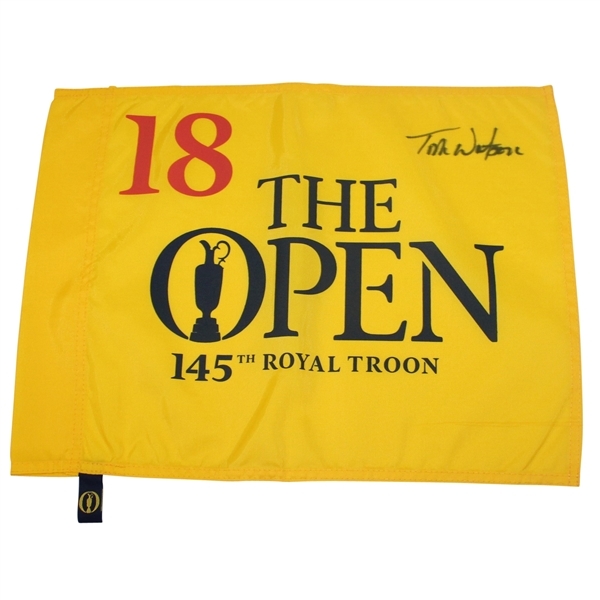 Here we have a Tom Watson signed 2016 British Open flag signed in black Sharpie. Tom Watson was an eight-time major championship winner and won the Open Championship in 1975, 1977, 1980, 1982, 1983. This flag presents nicely and would be a great addition to any signed flag collection.